Have you ever walked into a store and thought, “this is my kinda store.” A store where everything just seems so perfectly laid out that it just speaks to you? A store where you say, “I have to meet the person responsible for this genius!”? I have. 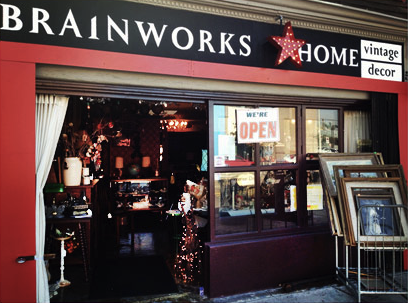 As soon as I walked into Brainworks Home on Pico, I knew it was going to be my favorite shop. 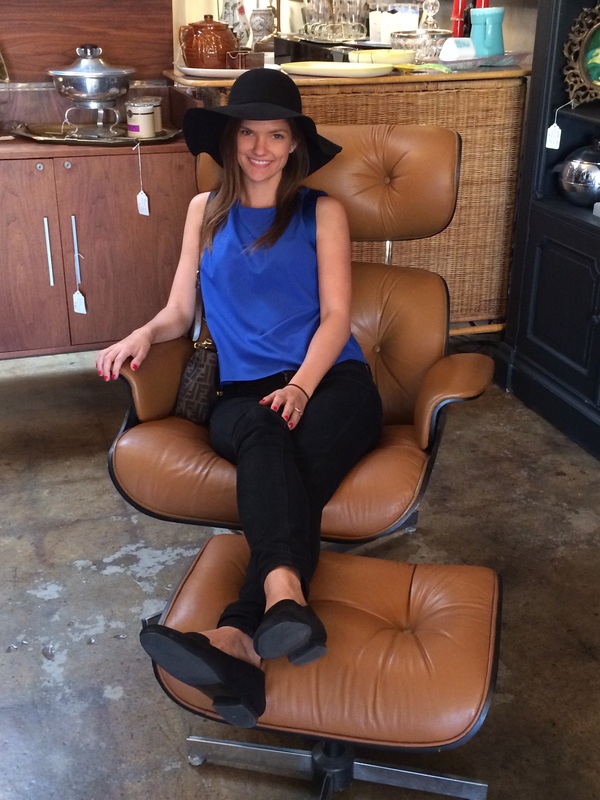 It was so perfectly curated; filled with designer pieces mixed with interesting estate finds that just felt right. 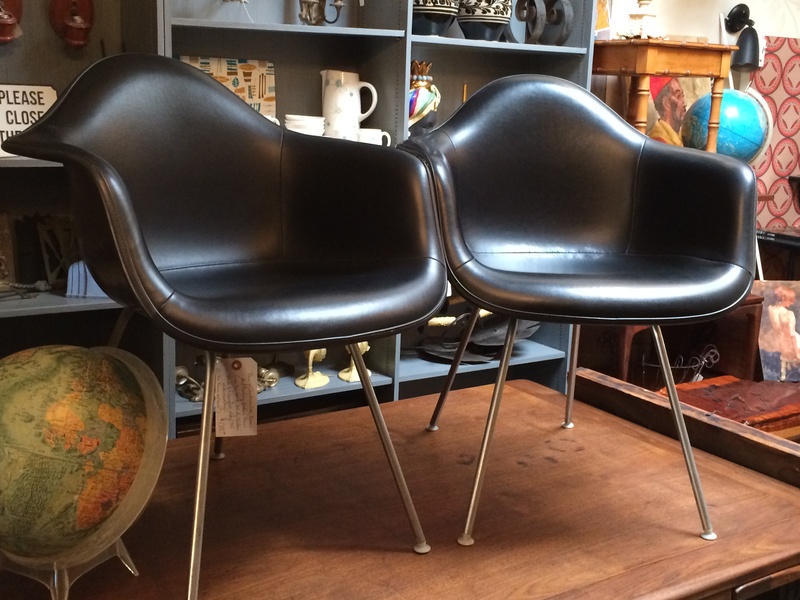 Think Eames, Plycraft, Wassily, Knoll mixed with estate finds and fun odds and ends… It is the kind of place where you just want to hang out. The chair that drew me in! 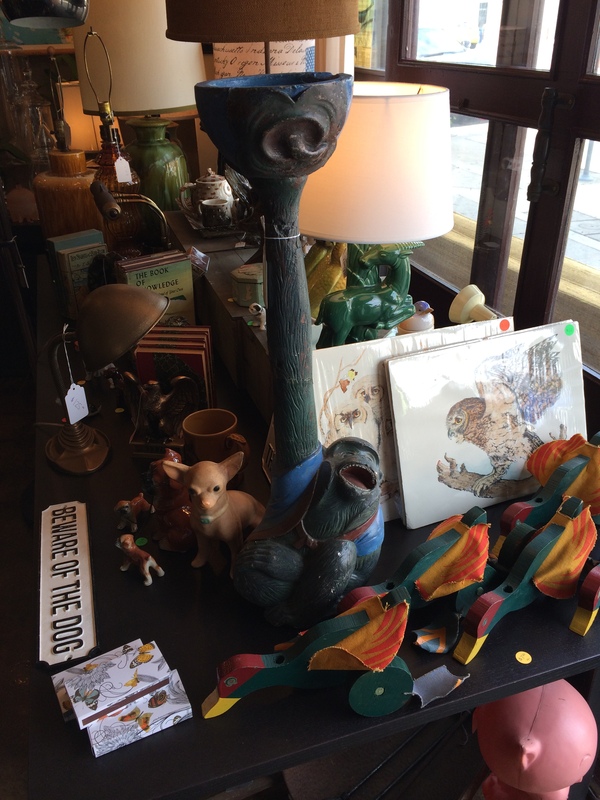 I immediately saw countless items to covet, and spent at least an hour wandering through the shop, drooling over art, records, furniture, funky glasses, and vintage wallpapers. 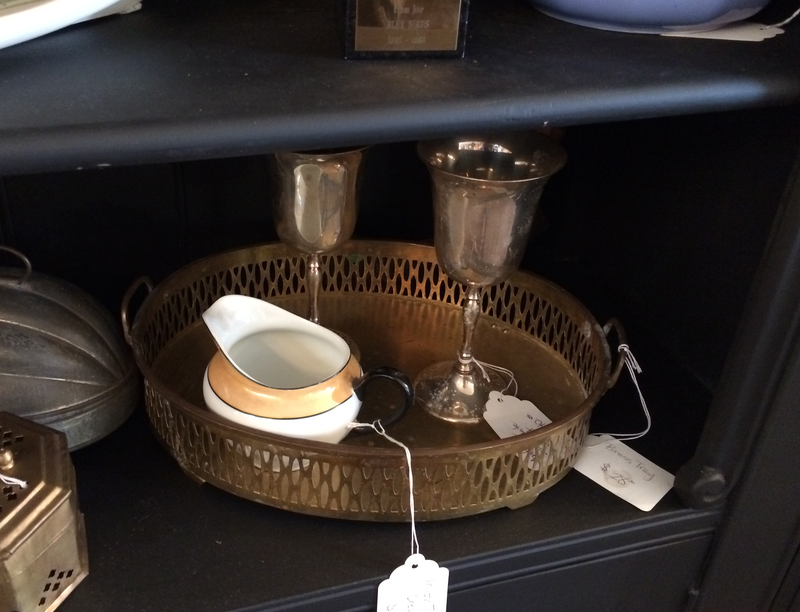 Love this funky monkey ash tray… I’d repurpose it as a candle holder. I had the opportunity to sit down with Erin Adams, the owner, and learn about her journey in creating such a lovely space. 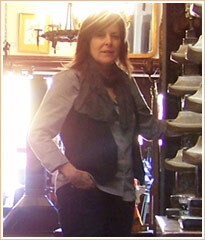 RR: What is the biggest difference between working as a designer and working as a mural artist? Interior design is like a friendship relationship. With mural painting, you go in, do the job and you’re done. You can come back the next day and leave it there. RR: What was your first rehab project? EA: A dining room set that my brother gave me that he didn’t want. I did a faux finish, and put some seat cushions on it. It was 1984, and I did tortoise shell. It was all about bright colors and crazy patterns. RR: Is there anything specific you look for when searching for items? EA: I make sure it speaks to me. Most items kind of find me. For example, I found a really cool glass, and brought it in. Someone in the shop said we already had one. 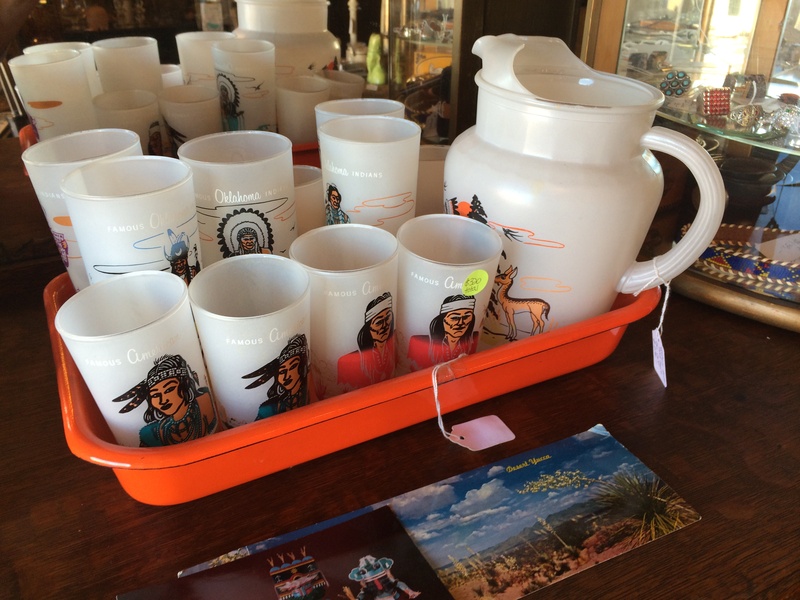 Someone came in and asked if we’d bought the cups at a sale—we hadn’t, but we went and got them. Stuff seems to want to be together. The glasses that were meant to be together. RR: Where do you get most of your inventory? EA: It really finds me. I get stuff everywhere—garage sales, auctions, swap meets, pickers come by the store, estate sales, antique sales, and sometimes I get items from the design mart. My sources naturally change on their own. RR: What are your favorite finds? EA: I love finding fine art. It’s like a treasure hunt. RR: What is the most rewarding part of running Brainworks? EA: When people connect with something on an emotional level and these things become “new” family heirlooms. It reminds them of their mom or an item their dad kept on their shelf. When those connections are made, you can tell, you can see it in their eyes and that is the most rewarding. It’s just like art, sometimes you do just have to have art in your life. This stuff is like art to me. I also like improving the neighborhood—it is rewarding. RR: What is the most difficult part of having the store? EA: Finding the balance between collecting and selling stuff. Also, the area is progressing, so sometimes you still get an occasional homeless person that wanders in. Since the area is changing, you have to improve the area without pushing people out. RR: What is your dream item? EA: My dream item will be fine art… because I went to art school and studied history, and my dad was a history teacher. It’s like a treasure hunt, but I think it will definitely be fine art. I’ll find it. RR: Any tips for someone embarking on their first rehab or design project? EA: Always make a plan and draw out the space. Never say “I’m just going to go for it.” Read about it, do your research. Research materials you may not be familiar with. Having a plan can help keep you from abandoning your project, or even ruining your project. This tray is super sweet, and is SO versatile. 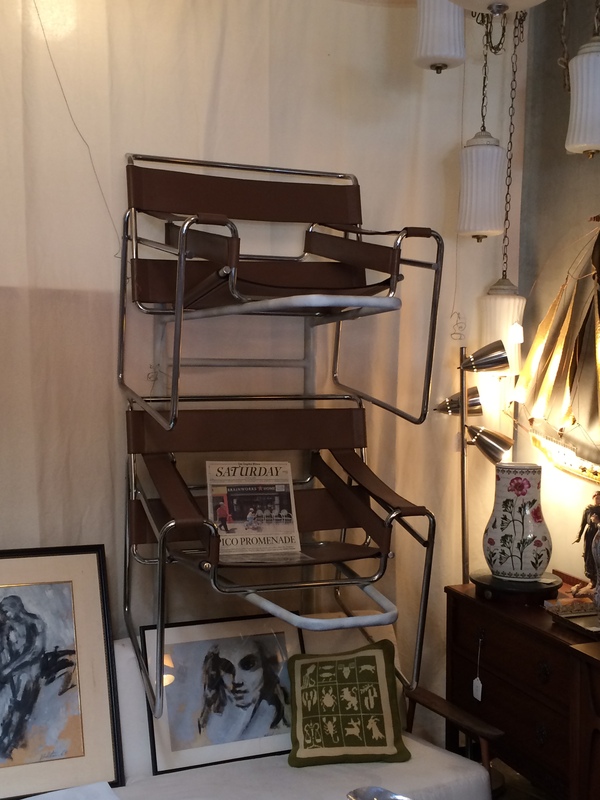 Iconic Design… Wassily Chairs just hanging around the shop. 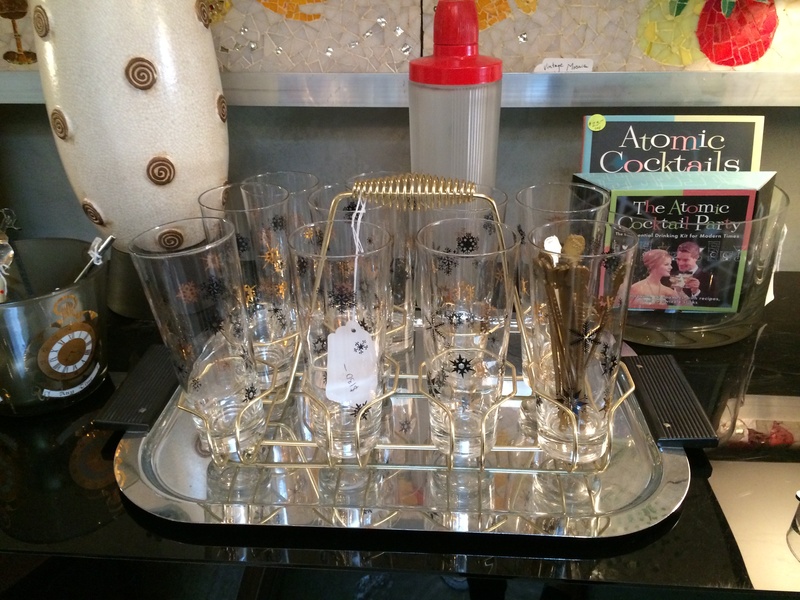 I love these retro chic glasses with a caddy. I think these prints from the 1940’s would look great in a nursery. 5364 w Pico Blvd, Los Angeles, CA 90019 . They are open Wed- Sat 11-6 pm. Have lunch, explore the area, and find your new favorite store! The place sounds great – I’ll make my way there soon. 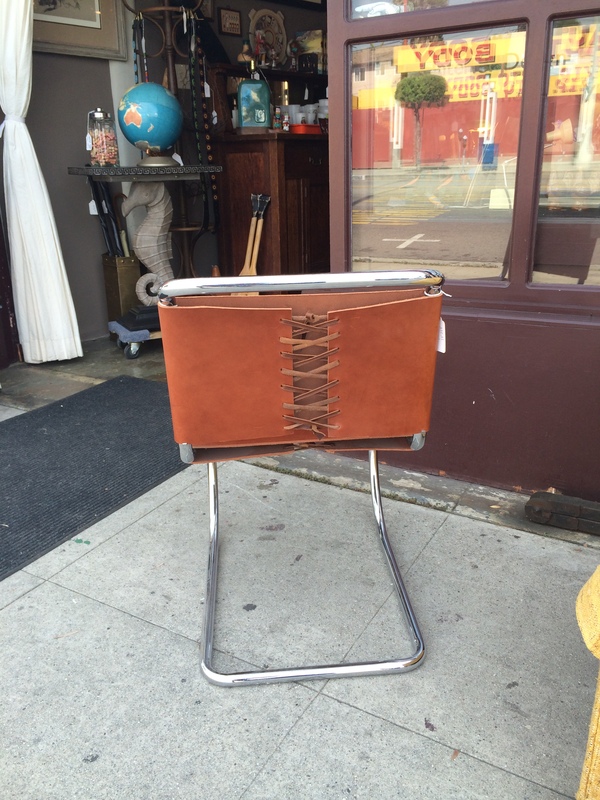 I checked out this store and it’s amaaazing!